Ehd's a caveman living on his own in a harsh wilderness. He's strong and intelligent but completely alone. When he finds a beautiful, young woman in his pit trap, it's obvious to him that she is meant to be his mate. Elizabeth doesn't know where she is or exactly how she got there. She's not at all interested in Ehd's primitive advances, and she just can't seem to get him to listen. No matter what she tries, getting her point across to this primitive but beautiful man is a constant - and often hilarious - struggle. Sir John Penlyon is planning to spend Christmas at his estate with his niece and his friend Danby, the closest thing he has to family since disowning his daughter years ago. (She eloped with the parson, who was, of course, penniless.) 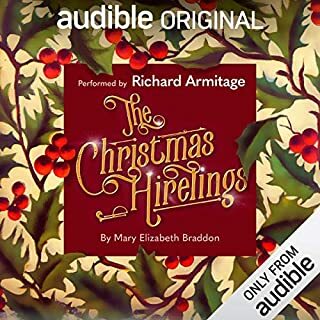 Danby suggests that at Christmastime the estate needs the presence of small children, and offers to find some - the “hirelings” - despite Sir John’s skepticism. Three children duly arrive, and the youngest, precocious four year-old Moppet, quickly endears herself to Sir John. 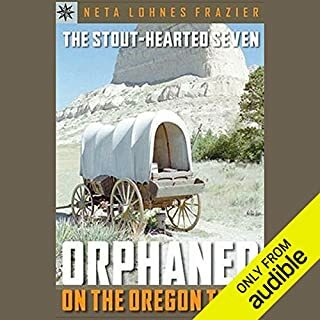 Based on a true story originally written by one of the survivors, Neta Lohnes Frazier's account of seven children traveling westward still has the power to astonish. 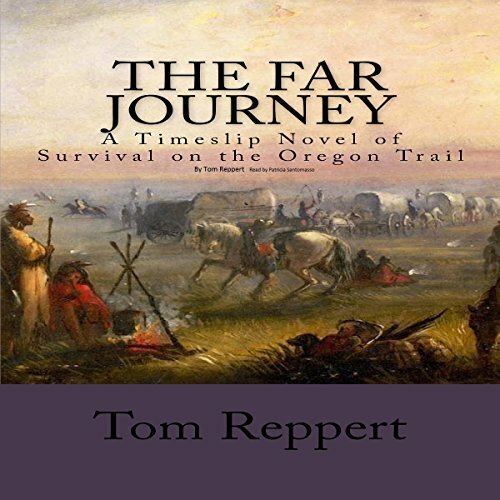 In the 1840s, the Sager family set off on the Oregon Trail, a dangerous and adventure-filled journey. Tragedy struck when both the mother and father succumbed to fever, orphaning the youngsters - one just a newborn. The entire wagon train adopted them, until they arrived at the Whitman Mission in Oregon. 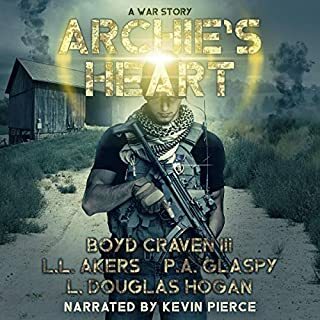 Archie's Heart is a war story - a collaboration novel by four post-apocalyptic authors: L.L. Akers, Boyd Craven III, P.A. Glaspy, and L. Douglas Hogan. 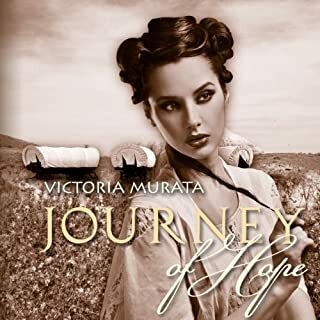 In Journey of Hope, three young women leave Independence, Missouri, in the spring of 1852 on a wagon train bound for the Oregon territory. Brenna and her family are Irish immigrants. Rebecca travels with her large family from Iowa. Emily is a young bride traveling with her husband Ernest. Six months and two thousand miles later they reach their destination much changed from who they were when they started. Daily life on the wagon train is challenging. Olivia Blake loves her job. Restoring art and discovering the history behind it is a regular part of her simple life. So, when her boss presents her with a damaged portrait of a British soldier from the American Revolution, she jumps at the chance to work on it. When her journey to discover who the man was is cut short by a bad car accident, Olivia surfaces in the icy waters of the Delaware River, staring at George Washington as he crosses with his army. Panicked, she flees into the woods and right into the arms of a very surprised British soldier - the man from the painting. Lucy Merriweather's supposedly perfect boyfriend attempted to murder her during a visit to Blackford Castle. Falling through time to 1300s medieval England, she lands in a tangled heap at the feet of a tarnished grumpy knight with secrets of his own and no time to spare for a crazy damsel in distress. Raised in the hills of Tennessee, Emma Simms dreams of the day she’ll escape her life of poverty to start over in the excitement of Knoxville. But when her mother dies and she’s left with no one but her stepfather, Luke Simms, her dream abruptly becomes a nightmare. Luke plans to send Emma to Knoxville all right - straight to a notorious brothel. 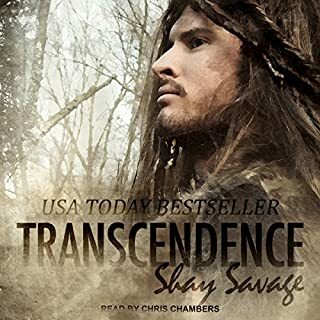 River Joe, the mysterious Cherokee-raised frontiersman, knew from the first time he set eyes on the beautiful Emma that he had to have her as his own. Disillusioned journalist Tom Langdon must get from Washington to L.A. in time for Christmas. Forced to take the train across the country because of a slight "misunderstanding" at airport security, he begins a journey of self-discovery and rude awakenings, mysterious goings-on and thrilling adventures, screwball escapades and holiday magic. Young, sharp-tongued Paula Masters, used to her cell phones, cherry lattes and designer jeans, suddenly finds herself thrust back in time to 1848 and the Oregon Trail. In modern life, she rebels against the curfews and restrictions of her day, seeing them as unfair hardships. But now in this alien world with its buffalo stampedes, wild Indians, and deadly pestilence, she is about to find out what real hardships are. To get home, she must set aside her rude girl persona and learn how to survive. On the trek, Paula meets young Daniel Langdon, hunter and part-time scout, and an infatuation quickly becomes a great passion. She realizes this is the love of her life and to get home she will have to leave him behind. In the tradition of Outlander, The Far Journey is a grand epic of love and tragedy, loyalty and betrayal, peril and survival. Throughout, Paula Masters is tested in body and soul and must discover the strength and toughness inside her. A self absorbed sixteen year old girl finds herself flung back in history, 1880's Oregon Trail traveling from the East to West . A wonderful tale with time travel, historical fiction, romance, hardships, Indian attacks, buffalo stampede, illness, injury and many other emotional events. I was drawn into the journey and felt many of the things Paula felt. I hope to find more by this author in the same genre. The narration was well done.The characters were well portrayed. Patricia Santomasso brings these characters to life. 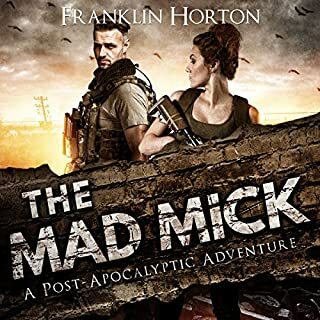 "I was voluntarily provided this review copy audiobook at no charge by the author, publisher and/or narrator." This book is ok if you’re a teenager. Not adult literature. Even the performance (which is good) is the voice of a 18 year old. I couldn’t get past the first hour. This is an interesting take history. It take something that happened and tells it in a different more interesting way. This is a young adult novel but it doesn’t take away from the story or my enjoyment. Started out regretting this book. Enjoyed it a great deal after the very rocky start. I finally enjoyed the story after the idiot girl finally settled into living the adventure. The story is wonderful and so realistic that I can't help but imagine that a lot of research was done in preparation for this book. I was swept away and felt like I was discovering the past along with our main character. I love time travel stories, but so often they are the rinse and repeat love stories we've all read, set in a distant time. This book is nothing like that. There is love in the story, but more than that, there is life! Narration was beyond impressive. Santomasso portrays each character so distinctly that you never have to wonder who is speaking... which is incredible given the sheer number of people in the story. Not to mention how effortlessly she can adjust not only the voices but the speed and style of each character's speech. She had me convinced that she was a black man, an Indian chief, a small child, a teenage girl, and on and on. Spectacular! This is an amazing story I wish there were more! This author really needs to write more stories like this. It was wonderful. At first you think I’m not gonna like this but give it a chance. It really immerse see you in the time period. The sample is clean, you think you're getting a good book. Perhaps the story is good, I skipped to Chapter 5 where the review starts...two more chapters of filth I couldn't take it. If you like a clean book, this isn't it. If you could sum up The Far Journey in three words, what would they be? Paula was my favorite character because she had sass. Which character – as performed by Patricia Santomasso – was your favorite? Paula, she performed her with the sass that she had. Time Travel to the west. Would you listen to The Far Journey again? Why? I usually do not listen to books twice. It was very interesting once you got past the first couple of chapters. I like history and this was great. What does Patricia Santomasso bring to the story that you wouldn’t experience if you just read the book? I like audio books, because they are easier to read as I drive. So I would not have even thought about reading this. If you like historical time-travel stories this is a really good one. Interesting ,engaging and entertaining. A unique, well written and very enjoyable story that completely pulls you into the 19th century and what life was like for the time period. A self centered, bratty 16 year old is transported back in time to the year 1848. She finds herself inhabiting the body of another teenager Libby Quarles, who's family is part of a wagon train heading to Oregon. Her looks are changed but her mind and personality are the same. A 21st century girl thrown into the 19th century and a completely different world has to adjust to her surroundings while searching for way home. Through her journey with her "new" family and the wagon train her life is forever altered. It did about an hour for the story to get really interesting, at the point where she is transported through time. The "time-slip" is never quite explained. Interesting concept of when one life ends another is restored. The ending was unexpected but perfect. Paula/Libby learning how hard life really used to be is a lesson many of today's generation could use. Patricia Santomasso did a great job with the narration. Pleasant voice, easy on the ears. Clearly spoken. Smooth narration with perfect pacing. Really good character voices. She was able to convey all the characters emotions and bring them to life. Very enjoyable. I would definitely listen to other books she narrates. I was voluntarily provided this review copy audiobook by the author, narrator or publisher. We are the hardship generation. After reading the opening chapters of The Far Journey, this reader thought she had made a mistake in selecting the book. How wrong! It continued to become an emotional roller coaster, a presentation of an historical period which threw the reader into the place and time like no other. And it was because of the main character's unique view - the past, experienced by a very modern young girl. It's time travel with a difference. Paula Masters, sixteen, was a rich kid. She used to be a grade A student and was already getting recognition for her riding prowess. Then her horse died, her parents divorced, and she became a self pitying, unkind, attention seeking, self satisfying lazy teen, a liar and manipulator whose only saving grace was her love for her little Downs Syndrome brother. Saved from school expulsion only by the threats to sue by her lawyer mother, she knows that she can still expect parental punishment, so, when she passes out at her little brother's birthday party and wakes up, in considerable pain in what looks like a reinactment camp for wayward kids, she's not surprised. Just horrified that her mother would do this to her. It's horrible. No hospitals, no conurbations, no doctors, no medicines, no communications, no WiFi , no T.V., no railway, no roads - just wagons travelling through open land, the constant fear of, well, everything, from storms and mud, heat and cold, injury, disease and hunger. And Indians. A modern day girl stuck in the 1800s on a 2000+ mile journey through constantly hostile lands. The narration by Patricia Santomasso has good pacing, individually voiced protagonists and she really becomes Paula, later to be Libby, the main protagonist and story teller. So much so, this reader forgot that she was listening to a narration and simply became absorbed into the book. A fine performance. This book is fantastic, vital, alive and often heartbreaking, a picture of real people patiently trying to find a new life, all seen through the eyes of someone who had everything then had it all taken away to become one of them. I don't have words to give sufficient praise. A must for everyone if only to show how very lucky we all are. What made the experience of listening to The Far Journey the most enjoyable? Everything made this listening experience enjoyable. Great story, historically accurate, well presented by an engaging narrator. I was riveted from start to finish. A book for young and old. alike. I have to wonder if the author is a teacher because he has captured the teen of today very well. It was fascinating to see the chinks in her armor and how those were revealed more and more as her challenge goes on. We all think our lives are so hard at times but this novel brings it home that we have no idea what hard really is.